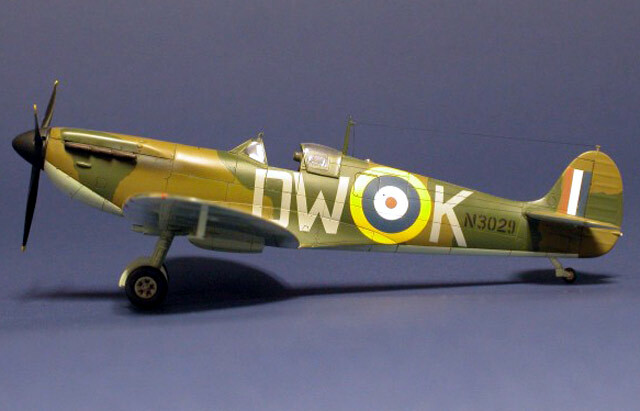 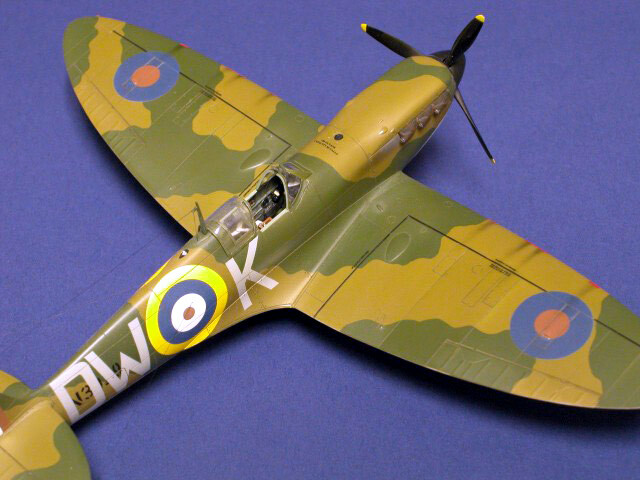 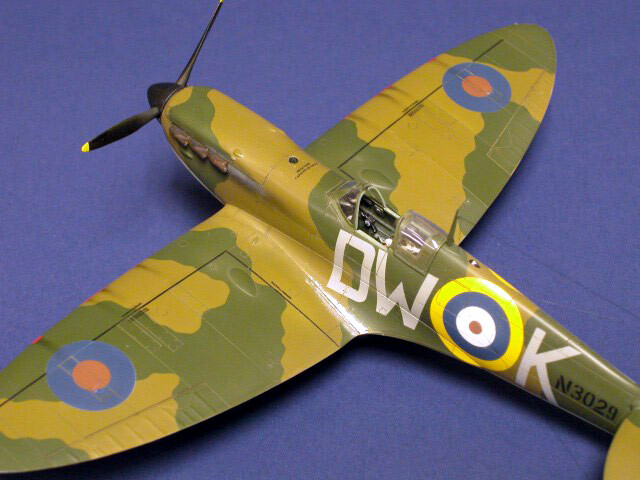 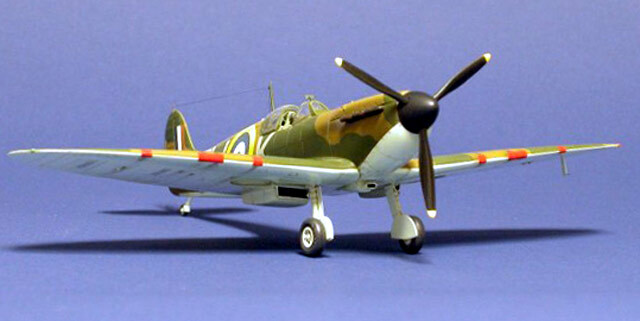 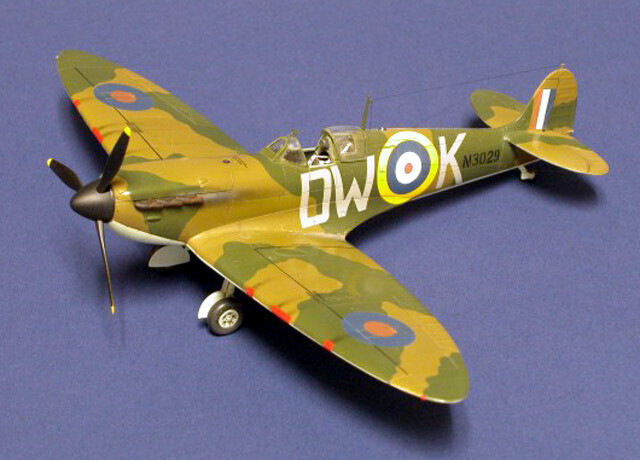 The Tamiya 1/48 Spitfire Mark I was painted using Polly Scale and Humbrol paints. 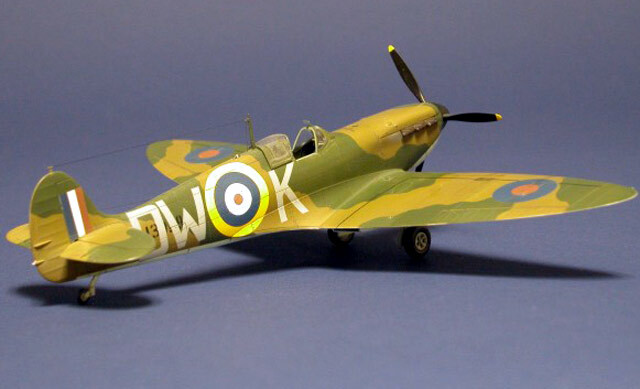 The only decals are the small data blocks… everything else is painted from hand cut stencils. 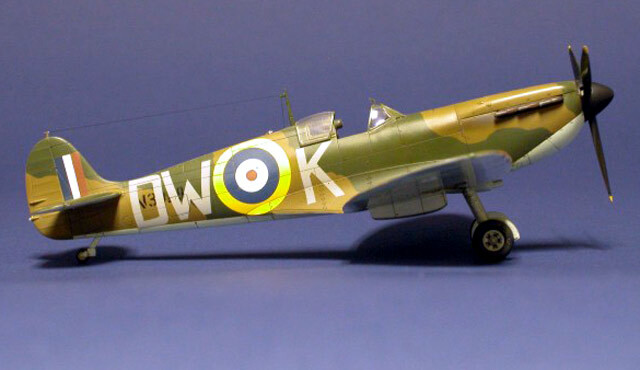 Black Magic camouflage masks were used for the hard-edged camouflage pattern.